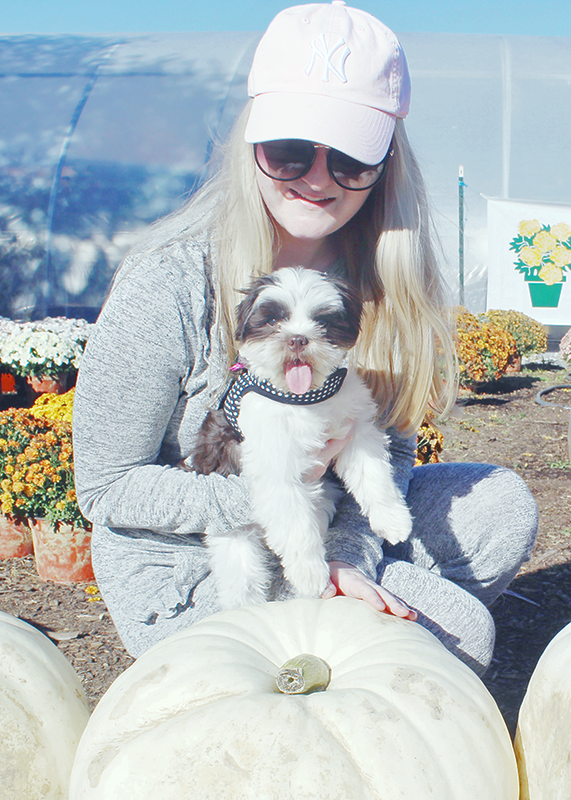 This year between the weather and catching a sinus infection I was a little late in getting to the pumpkin patch (check out 2016's visit here and 2015's visit here). My Mom and I finally took a trip there this past Monday and decided to bring Lucy with us. 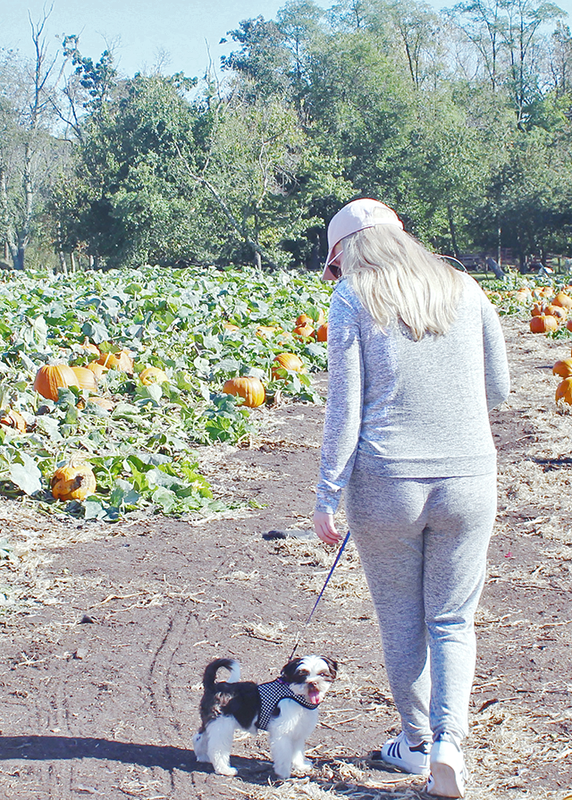 We had the farm almost entirely to ourselves which was perfect because Lucy got to run around and just have so much fun! As usual I also got to go a little crazy getting a variety of pumpkins and some mums for the house to decorate for fall. 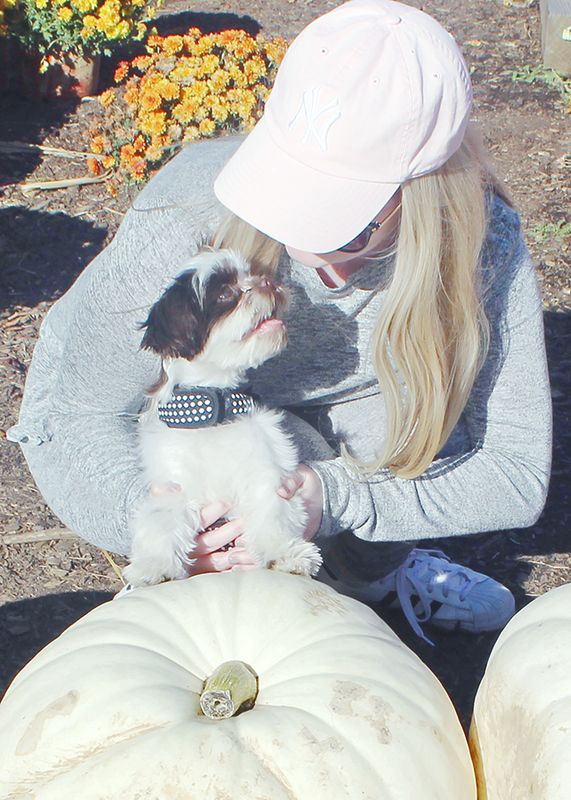 I already have an idea for how I'm going to decorate my pumpkin this year and can't wait to share it with all of you (see past pumpkin decorating tutorials here). I really haven't been feeling well lately and I wanted to wear something cozy and cute to the patch. 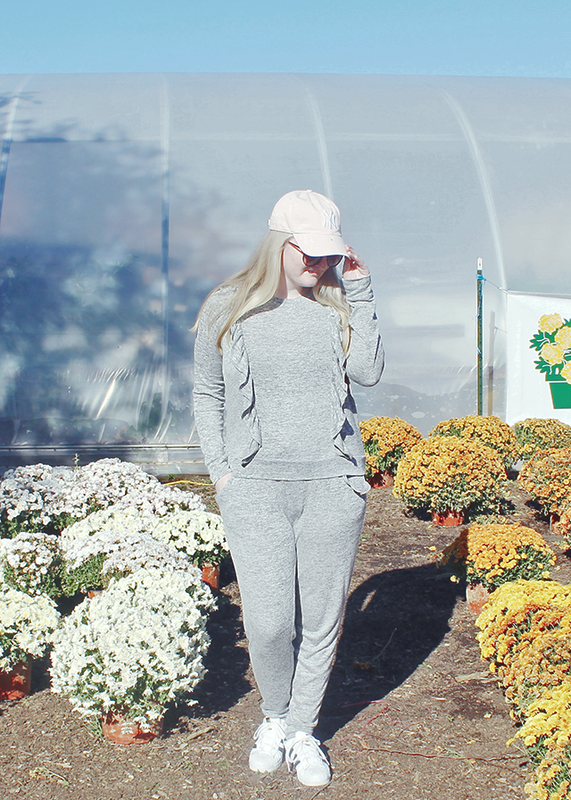 I've been obsessed with joggers recently and have been wearing this pair I got from Charming Charlie on repeat because they're so soft and go with just about everything. I paired it with the matching sweater which I am in love with with thanks to the sweet ruffles and can't wait to style with jeans in the future. 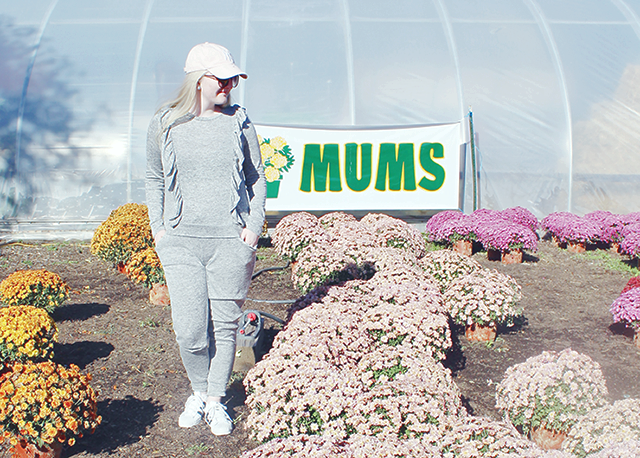 I'm loving how sweet sweatsuits/matching pieces are in style right now since they're a great way to be comfortable while still staying on trend. I'll definitely be rocking this look all fall long! Have you been pumpkin picking this year?